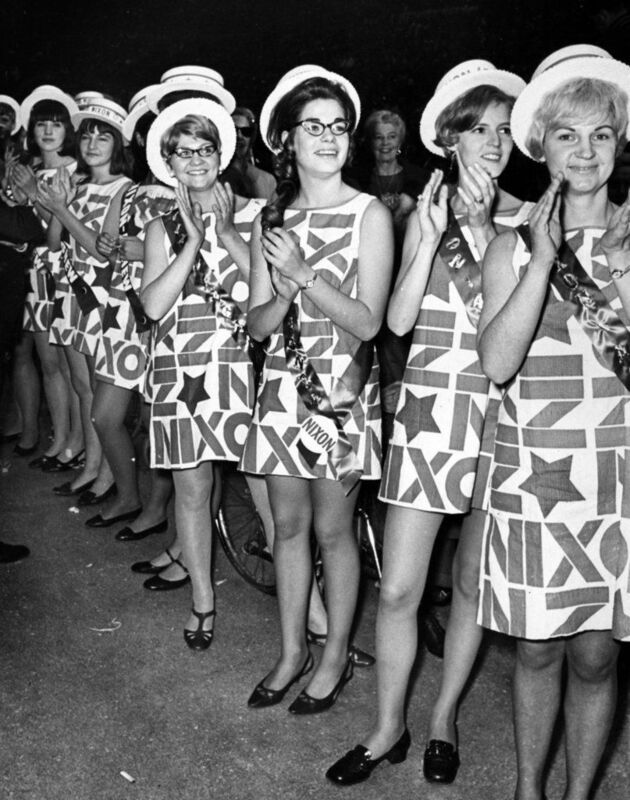 The sixties played around with fashion like never before. It was an explosion of bold colours, crazy patterns, daring cuts and innovative material. If it could be cut and sewn together, it could be classed as clothing. Take, paper, for example. 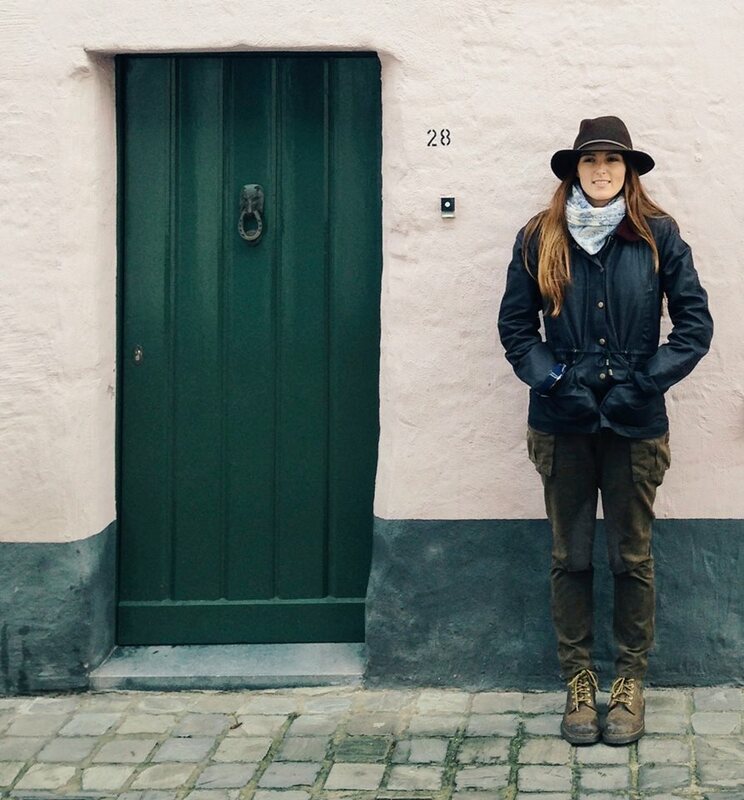 Yep, not just for those cut-out and dress-up paper dolls. Real people wearing real paper. 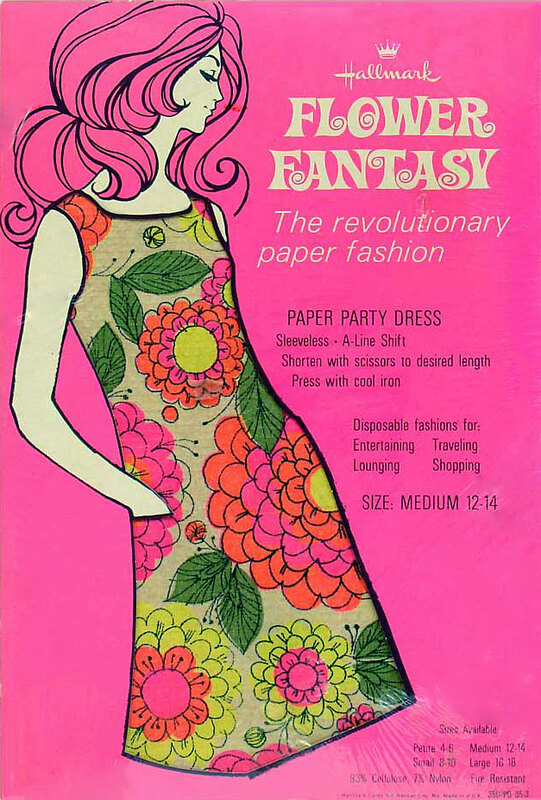 Originally the dresses were created as a marketing ploy to promote a new range of paper plates and napkins. The Scott Paper company were launching their new weave of paper products, Dura-Weave, a type of paper that was thicker and more durable than before. In 1966, the marketing department at Scott Paper unbeknownst to them, would set a new trend that would make history when they came up with the idea to promote their new products. The paper dress became a huge hit. People loved that they could cut it shorter with a pair of scissors or fix it up with some tape. And if it got dirty, they would just throw it out. Costing less then $5 a pop this was disposable fashion at its very best. Companies were experimenting with styles and fabrics, some adding other materials to the paper to increase durability and allow the clothing to be washed several times before it’s life was up. They created a dress in this new Dura-Weave fabric; a simple A-line shift dress designed in two different patterns, a red bandana print and a black and white op art print. 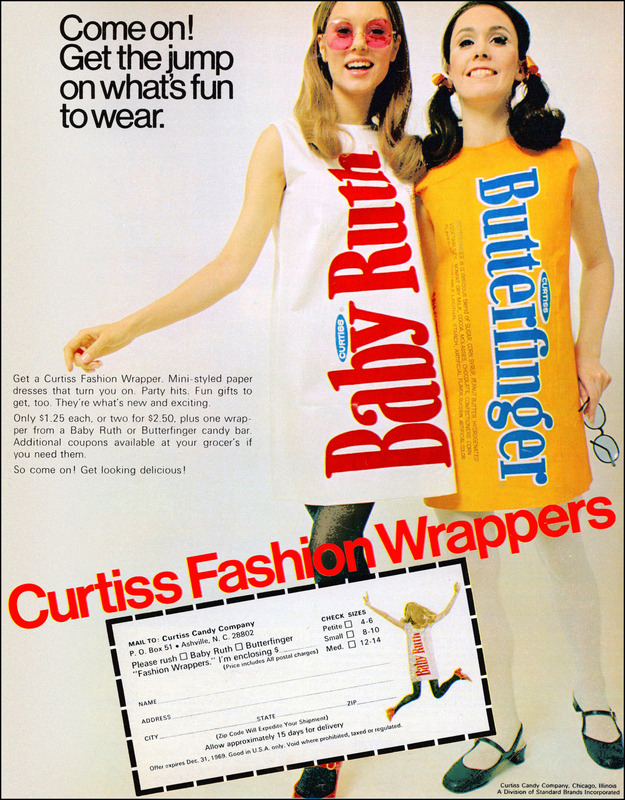 The dress cost $1 and when purchased, the customer would receive some coupons for Scott Paper products in the post with it. 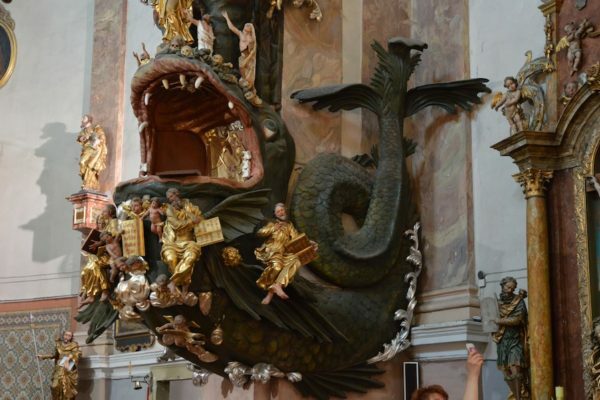 The company were in for a big surprise when the advertisement really took off and women all over wanted to get their hands on the latest fashion fad. They had half a million orders in under a year. Unintentionally creating one of the coolest trends around, other companies were quick to follow suit. Mars manufacturing company became the leading maker of paper clothes. They made a whole line of paper clothes including a wedding gown. 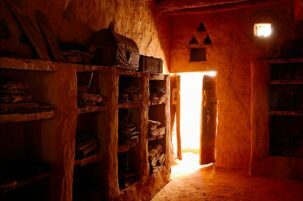 Some companies even set up boutiques devoted entirely to paper based products. 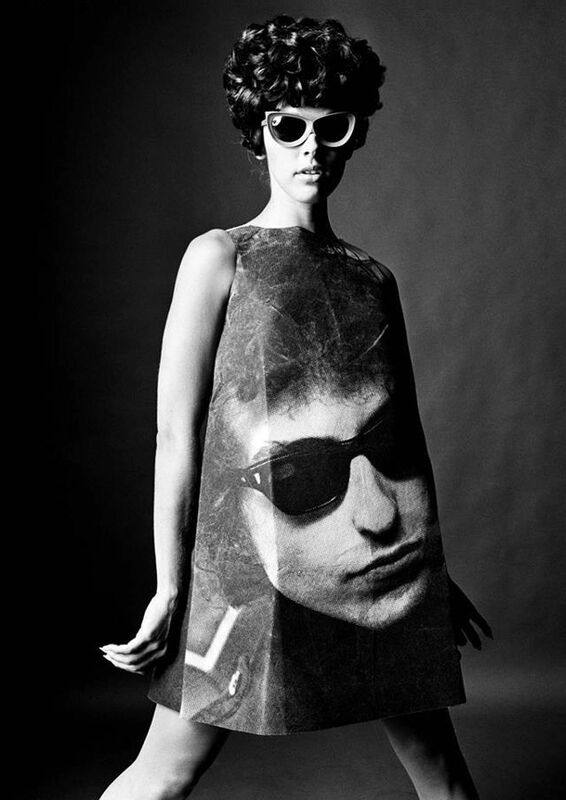 There were portrait dresses, printed with famous faces from musicians to politicians. 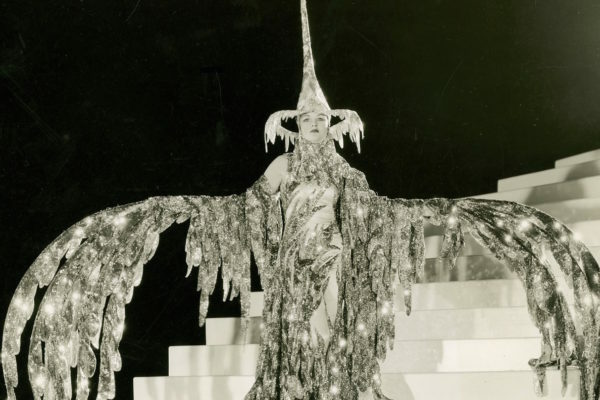 Not only did this become a fashion frenzy, but it became a marketing trend for many other companies. From the Yellow Pages to hair products to candy bars. Everyone was getting in on the craze. 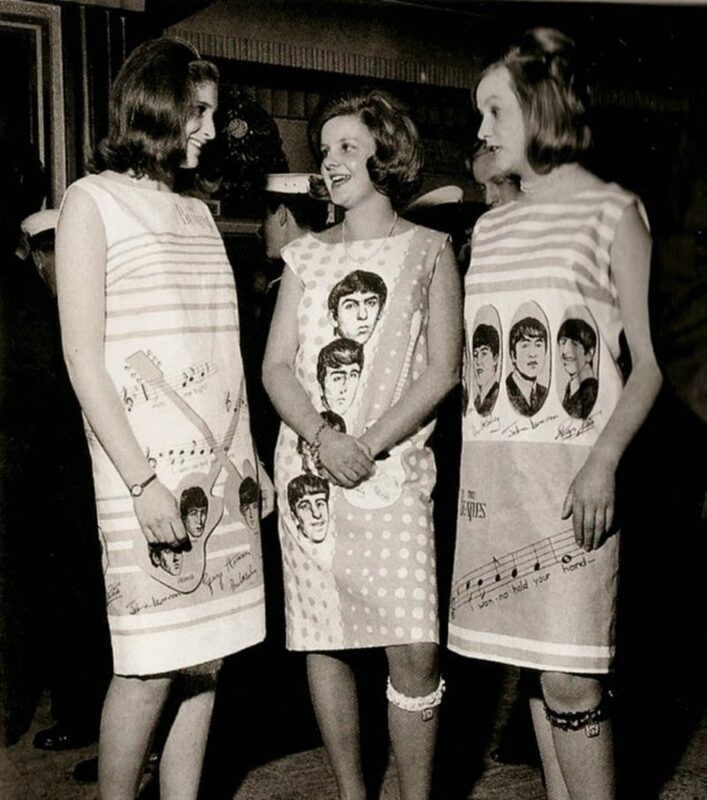 Campbells Soup used the famous Andy Warhol design silk-screened onto their dress and it was dubbed the Souper dress. High-street fashion as we know it today is more often than not poor-quality polyester atrocities– so were we better off with the paper clothing trend when wardrobes could be a conveyer-belt of recyclable paper outfits? Perhaps we’d be one step closer to saving the planet. 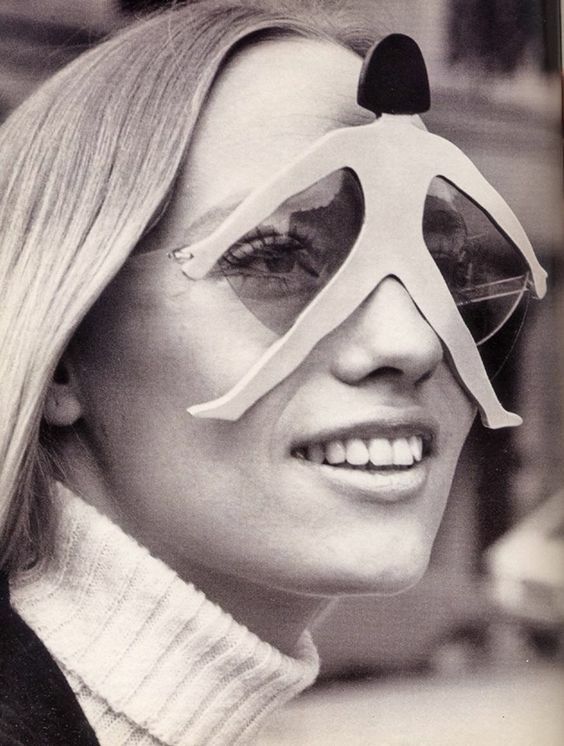 Pierre Marly was the French optician who turned glasses into fashion pieces. Before Marly, glasses were classic and functional objects, but when he came along, the spectacular was put into spectacles. Pierre Marly lived in Paris where he worked his way up in the eyewear industry. It was in 1951 that he opened his first shop on Rue François where the brand still lives on today. 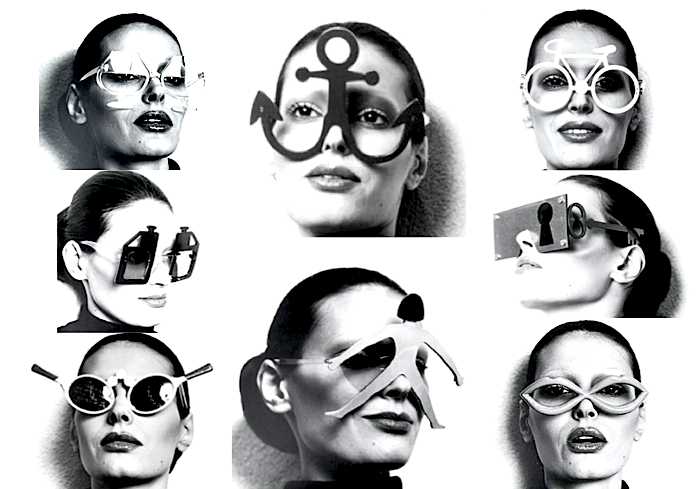 He became not only the optician of “tout de Paris” but the “King of Spectacles”, and the “couturier des lunettes” who created avant-garde designs, turning glasses into fashionable items as opposed to items of necessity. He created glasses in the shape of tennis rackets, bicycles, cocktails, lips, a television screen, and he popularised the cat-eye shape which were at the height of the mode in the middle of the 20th century. 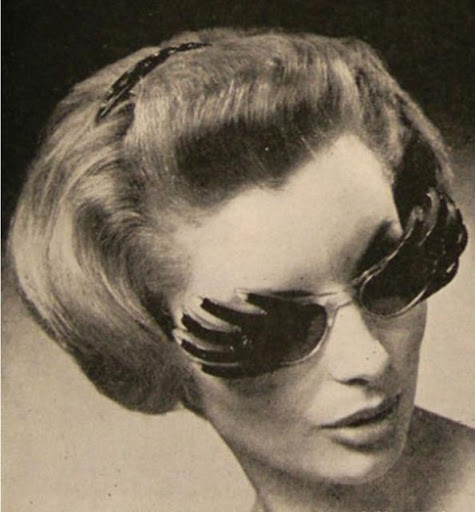 Audrey Hepburn wore his glasses in Breakfast at Tiffany’s, putting Marly firmly on the fashion map. Marly owned a huge collection of articles for inspiration with items such as lorgnettes (opera glasses) and scientific instruments. His collection, which contains around 2500 items, is one of the biggest collections of eyewear and optical instruments in the world. For many years it was displayed in the Musée des Lunettes et Lorgnettes Pierre Marly on the Rue Saint-Honoré. There, one was able to see “the Dalai Lama’s lunettes along with Elton John’s and Jackie O’s trademark specs and Maria Callas’ contacts…eyeglasses made for cats and dogs”. Today, however, the collection has been relocated to the more spacious Musée de la Lunette in Morez, a French town close to Switzerland famous for manufacturing glasses. The era-defining space race influenced all corners of culture – from kids shows like The Jetsons to futuristic architecture like the Futuro house. The art critic Dave Hickey even attributes the clean “white cube” art gallery spaces of modern art to NASA. But most of all, it turned the fashion world upside down. 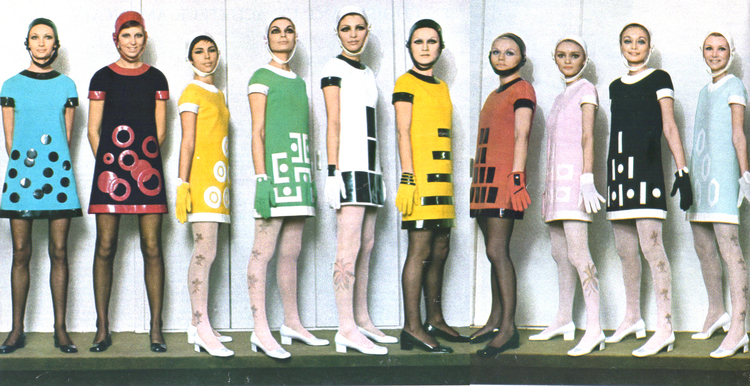 French designer Andre Courreges is considered to be the father of Space Age style and the “Moon Girl Look”. His designs evoked the new technologies of machinery and mass production of the post-war boom. 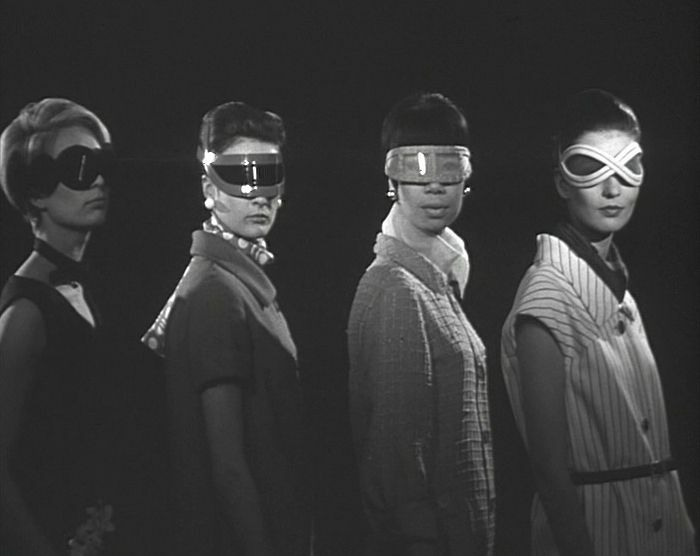 He also introduced accessories inspired by astronauts, such as helmets as sported by Audrey Hepburn and goggles. 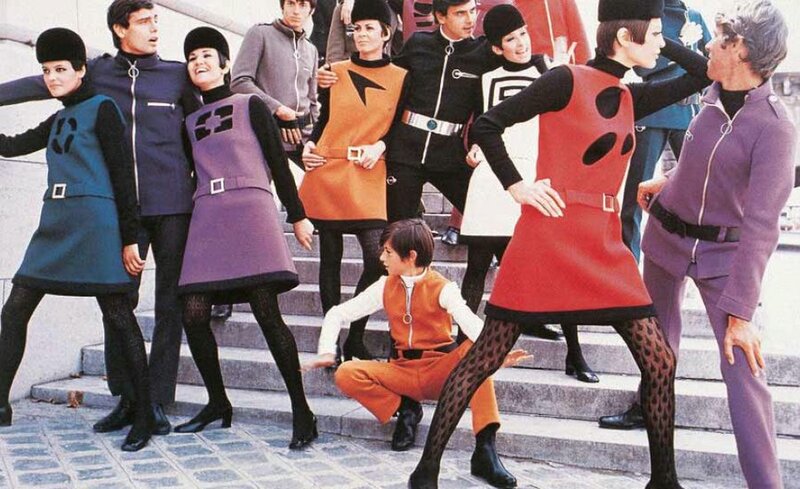 Along with Courreges, the other pioneer of futuristic design of the 1960s, Pierre Cardin experimented with new materials in clothes designs. Radical materials such as metal and plastics such as PVC became haute du gamme thanks to these two. Cardin is in fact, the only person to have ever tried on Neil Armstrong’s space suit, apart from the man himself of course. Cardin was so inspired by the Space Age that in 1970, he went on to design his own space suit for NASA. Ah, PVC. Less popularly known as Polymerizing Vinyl Chloride. In1926, scientist Waldo Semon accidentally invented the plasticised vinyl that we now know as PVC and presented his find by creating a waterproof vinyl-coated shower curtain (and that is how the shower curtain was born). But it wasn’t until the 1960’s that vinyl made its mark on the fashion world. The decade of revolution and change that was reflected in fashion used PVC to make a statement. British designer Mary Quant was the first designer to use PVC in her work. Capitalising on the 1960’s obsession with new materials she cleverly created a whole collection of shiny vinyl garments as part of her ‘wet collection’. 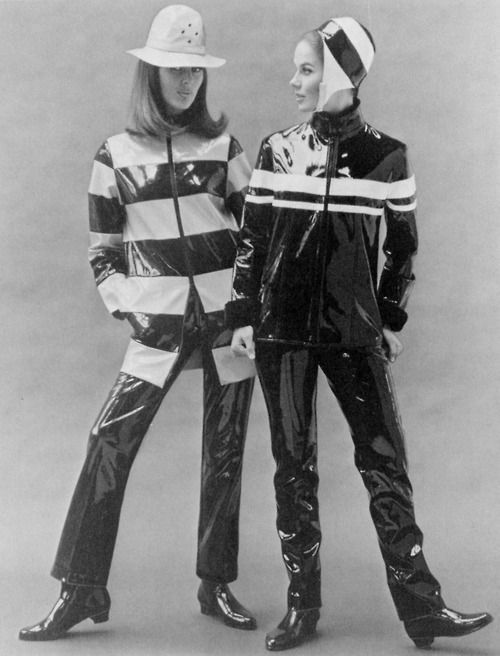 The collection launched in 1963 and featured a range of PVC coated raincoats, skirt-suits and hats inspired by op art. 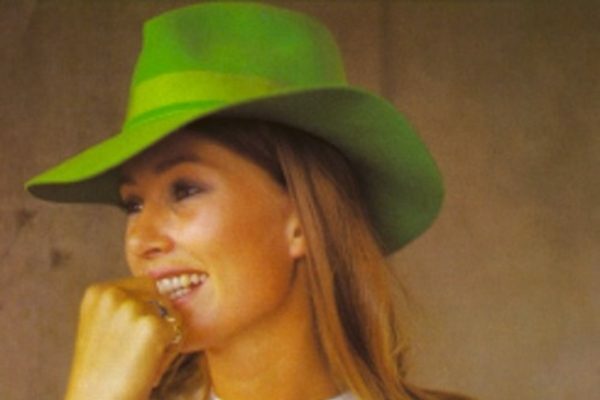 These designs were showcased in Quant’s London boutique, Bazaar, and worn by the likes of Cynthia Lennon, Patti Boyd and Audrey Hepburn. 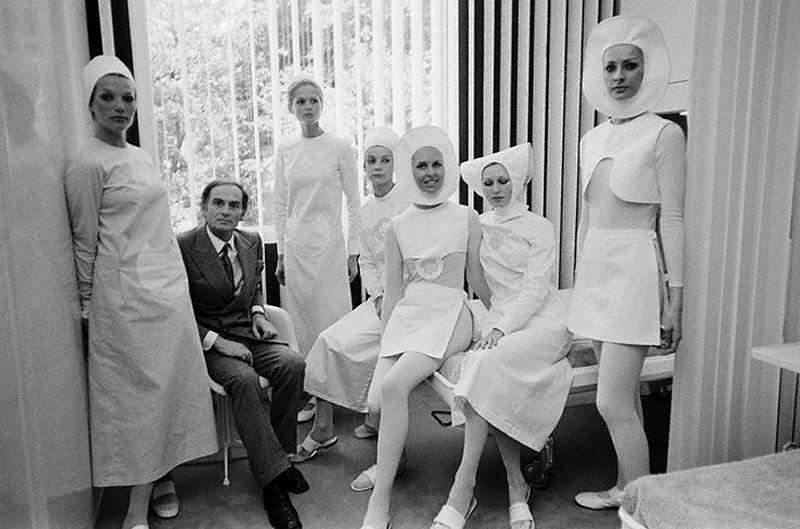 Andre Courrèges, also known for inventing the mini-skirt (there is an infamous dispute between he and Quant over who the original innovator actually is) broke the norms for couture ateliers of the time by using such unconventional materials in his designs. He was one of the first designers to take plastic to the catwalk, modernising and redefining couture with his revolutionary and relevant ideas. Emma Peel, our favourite fictional spy, was another PVC style inspiration in the original 1960’s Avengers TV series. 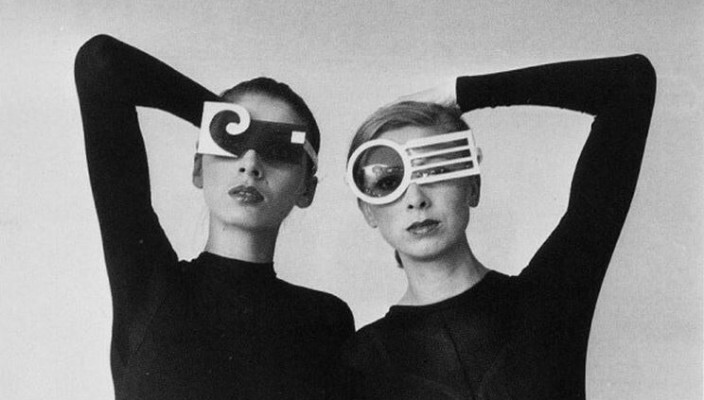 Courrèges and Quant may have been at the forefront of this fashion movement but the vinyl bug was contagious and it didn’t take long for an outbreak of shiny plastic-coated attire to fill boutiques everywhere. Swim caps have a little history of their own. They were introduced at the start of the 20th century and were a hit until the Second World War, when the rubber used to make them was put to use in the production of war materials.